The majority of the requirements are for long-term activities that will support communication and outreach-related functions for the office. The information from this market research will help ODPHP, plan their acquisition strategy. The Government anticipates a contract award for this project on or before August 30, 2013. The appropriate NAICS code is 541519 with a size standard of $25,000,000.00. THIS IS STRICTLY MARKET RESEARCH. ODPHP WILL NOT ENTERTAIN QUESTIONS REGARDING THIS MARKET RESEARCH. 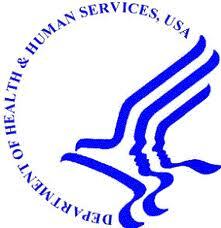 The Office of Disease Prevention and Health Promotion, established by the National Consumer Health Information and Health Promotion Act of 1976 (Section 1706 of the PHS Act as amended) and continued under the “Omnibus Health Act of 1988,” was mandated a number of responsibilities, including participation in policy development; oversight and coordination of HHS activities in disease prevention and health promotion; identification of unmet needs related to health information and disease prevention and development of resources to meet such needs; and dissemination of health information. The National Health Information Clearinghouse was established in 1979 to address the issues listed above and has operated continuously since then. It is now called the National Health Information Center (NHIC). In addition to NHIC, ODPHP also has responsibility for managing the development and implementation of national objectives for health promotion and disease prevention. ODPHP currently manages the Healthy People 2020 initiative, with specific oversight of the Health Communication/Health Information Technology Topic Area; Dietary Guidelines for Americans; Physical Activity Guidelines; healthfinder.gov; and health communication/health literacy and plain language projects; developing Action Plans to reduce avoidable patient harms; and other ODPHP programs. The services to be acquired are to support the continuing operation of National Health Information Center (NHIC) as well as communications and outreach for all of the ODPHP initiatives. This includes maintenance, updating, evaluation, and promotion of its information and referral services, web site development and management, communications and content development (with a specific focus on health literacy and plain language) and outreach and marketing (with a specific focus on social media). • A toll-free telephone service with an automated answering system that provides a menu of choices and an inquiry and referral service staffed by information specialists that refers callers to the most appropriate resource and a supporting reference database to track resources. • Development and maintenance of content in databases that support the healthfinder web site and other key sites as well as an internal NHIC application that supports the information specialists answering the toll-free telephone line. • The development, management, and maintenance of healthypeople.gov, its content, databases, and its interactive features. • Outreach and marketing communications activities for healthfinder, DGA, PAG, and healthypeople.gov and other key activities and web sites, including media campaigns and e- marketing. • electronic publication development including translation of select publications. • publication order fulfillment (for existing print publication stock). The anticipated base period of performance is twelve (12) months from date of award with 4 option periods. The majority of all tasks will be performed in the Rockville, Maryland and Washington, DC areas. However, services may also be needed at locations throughout the United States. It is envisioned that the contract will be awarded as a time and materials fixed contract with a not-to-exceed amount. The Contractor must demonstrate experience, expertise, and understanding of activities, issues, and trends related to Internet health information and communication technology as they affect the information and communication activities of ODPHP and NHIC. The contractor must have knowledge and expertise sufficient to translate and communicate information pertaining to Healthy People 2020, health communication/health literacy, healthfinder.gov, Physical Activity Guidelines, Dietary Guidelines for Americans, other ODPHP programs, and technical information on health promotion and disease prevention, to diversified professional audiences. The contractor must have experience and knowledge regarding health literacy, cultural relevance, and plain language principles in developing audience appropriate communications. The Contractor must have knowledge and expertise to evaluate and select resources on health promotion, disease prevention, and other consumer health issues for diversified lay and professional audiences. The Contractor must have knowledge and expertise to develop, manage, evaluate, and continually enhance all ODPHP databases and web sites, including but not limited to database management, dynamic web sitedevelopment, web site usage analysis, Internet indexing and search tools, streaming video and audio production, live Internet ‘chat’, Internet conferencing, listserv, and alternative access methods such as Internet appliances, handheld devices, wireless devices, Internet-capable cellular telephones, and emerging Internet technologies. The Contractor must have knowledge and expertise Government policies and procedures including the laws and regulations governing accessibility of Federal information to those persons who require assistive technology (the Americans With Disabilities Act and Section 508 of the Rehabilitation Act) and the Federal Information Security Management Act (FISMA) requirements for environments (servers, network) as well as applications (operating system, CMS, program, data, databases). The Contractor must have knowledge and expertise in communications, including communications research and evaluation, media relations, markets, and public education to promote use of NHIC products and services to target audiences. c. Current GSA Schedules appropriate to this Sources Sought. This notice does not obligate the Government to award a contract or otherwise pay for the information provided in response. The Government reserves the right to use information provided by respondents for any purpose deemed necessary and legally appropriate. Any organization responding to this notice should ensure that its response is complete and sufficiently detailed to allow the Government to determine the organization’s qualifications to perform the work. Respondents are advised that the Government is under no obligation to acknowledge receipt of the information received or provide feedback to respondents with respect to any information submitted. After a review of the responses received, a pre-solicitation synopsis and solicitation may be published in Federal Business Opportunities. However, responses to this notice will not be considered adequate responses to a solicitation. The Carl D. Perkins Job Corps Center, operated by Horizons Youth Services for the Department of Labor, is seeking a qualified Trainee Employee Assistance Program (TEAP) Specialist (Substance Abuse Counselor). This requirement consists of seventeen (17) hours per week/48 weeks per year of on-site services. Deadline for proposals will be February 28, 2013, 2:00 pm EST. If you have questions, please contact Tracy Reichenbach, Buyer, at (606) 433-2258 or via email (preferred) at reichenbach.tracy@jobcorps.org . 69–Centralized data center for Combat Training Center Instrumentation System (CTC-IS) W900KK13RFIDATASTORAGE Phil Davis, 407-384-5335 PEO STRI Acquisition Center UPDATE: 13 February 2013: Attached responses to questions submitted by industry for the Central Data Center for CTC-IS. The Government does not intend to extend the closing date of 15 February 2013 for the RFI responses. Responses shall be submitted, via email, no later than 2:00pm Eastern Standard Time (EST) on 15 February 2013 to the Contract Specialist, Mr. Phil Davis, at phil.b.davis@us.army.mil. BRIEF DESCRIPTION: CTC- IS is an integrated system of computer software and hardware; workstations; databases; voice, video and data recording; production and presentation equipment; interface devices; and communication networks. Each training center hosts its’ own individual data center which is comprised of 60 servers and 125 desktops each. The instrumentation system software is custom written using the LT2Product baseline (www.lt2portal.org). The U.S. Army Program Executive Office for Simulation, Training and Instrumentation (PEO STRI), Project Manager for Training Devices (PM TRADE), Product Manager for Combat Training Instrumentation System (CTIS) intends to centralize the data centers that are currently housed at the Combat Training Centers (CTCs). The CTCs are located at the National Training Center (NTC) at Fort Irwin, California and at the Joint Readiness Training Center (JRTC) at Fort Polk, Louisiana. ACQUISITION APPROACH: The Government intends to conduct a study to determine the Government’s infrastructure requirements to support a centralized data center along with the new centralized data center. The Government is currently developing an acquisition strategy for a centralized data center for CTC-IS. The acquisition strategy or contract type for this effort has not yet been determined. RESPONSES REQUESTED: Questions with regard to the subject effort shall be submitted, in writing, to the Contract Specialist, Mr. William Jensen, at William.R.Jensen1@us.army.mil before 2:00pm EST on 8 February 2013. Interested offerors shall provide their capability statement via email no later than 2:00pm Eastern Standard Time (EST) on 15 February 2013 to Mr. William Jensen, Contract Specialist, William.R.Jensen1@us.army.mil. DISCLAIMER: This announcement is published for market research purposes only. This notice does not constitute an invitation for bid or a request for proposal and is not a commitment by the U.S. Government to procure the subject effort. No solicitation documentation exists at this time. Responses in any form are not considered offers and the Government is under no obligation to award a contract as result of this announcement. No funds are available to pay for the preparation of responses to this announcement. The submission of the requested information is for planning purposes only. R — CLINICAL TRIALS SPECIALIST NIHLM2013679 022113 V. Lynn Griffin, BUSINESS OPPORTUNITY SPECIALIST, Fax 301-480-8501, Email griffinv@mail.nih.gov – MAXWELL KIMPSON, CONTRACTING OFFICER, Email Max.Kimpson@nih.gov This Small Business Sources Sought Notice is for information and planning purposes only and shall not be construed as a solicitation or as an obligation or commitment by the Government. This notice is intended strictly for Market Research. The National Institutes of Health (NIH) National Institute of Diabetes, Digestive and Kidney Diseases (NIDDK) is conducting a market survey to determine the availability and technical capability of qualified small business, veteran-owned small business, service-disabled veteran-owned small business or HUBZone small businesses capable of providing services as Clinical Islet Transplantation (CIT) Consortium the Division of Diabetes, Endocrinology, and Metabolic Diseases (DEM) with the oversight and management of clinical trials and large-scale epidemiological studies in diabetes, endocrinology and metabolism. Prepare documentation of procedures for clinical trials management and data safety monitoring board to meet the needs of DEM, NIDDK, NIH, and the researchers with whom they work as well as consumers, the federal government, or special interest groups. Prepare and maintain Investigational New Drug Applications and Investigation Device Exemption applications. In coordination with the Coordinating Center, if applicable, assist Program Officials with initiation and management of Data and Safety monitoring Boards (DSMB) and Scientific Advisory Boards (SAC). Assist Program Officials in the interface with the Office of Technology Development and Transfer. Assist Program Officials in development of new or modified study protocols and informed consent documents. Must be available for U.S. and International travel to visit clinical trial sites. 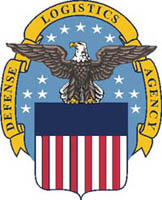 Interested firms with the capability of providing the required service listed above are requested to submit a capability statement to assist the Government in determining in accordance with Federal Acquisition Regulation (FAR) 19.502-2(b) whether or not this procurement will be set-aside for any of the programs described above. The intended procurement will be classified under North American Industrial Classification (NAICS) code 561320 with a size standard of $12.50. All respondents are requested to identify their firm’s size and type of business. Interested firms responding to this market survey must provide (a) capability statement demonstrating their experience, skills and capability to fulfill the Government’s requirements for the above. The capability statement shall be in sufficient enough detail, but not to exceed 15 pages, so that the Government can determine the experience and capability of your firm to provide the requirements above. Your capability statement, not to exceed 15 pages, should include references. Two copies of the capability statement must be received at the address identified in this synopsis by February 21, 2013 no later than 11:00 A.M. local time at designated location). Responses by fax or e-mail WILL NOT BE ACCEPTED . This synopsis is for information and planning purposes and is not to be construed as a commitment by the Government, nor will the Government pay for information solicited. Disclaimer and Important Notes: This notice does not obligate the Government to award a contract or otherwise pay for the information provided in response. The Government reserves the right to use information provided by respondents for any purpose deemed necessary and legally appropriate. Any organization responding to this notice should ensure that its response is complete and sufficiently detailed to allow the Government to determine the organization’s qualifications to perform the work. Respondents are advised that the Government is under no obligation to acknowledge receipt of the information received or provided feedback to respondents with respect to any information submitted. After a review of the responses received, a pre-solicitation synopsis and solicitation may be published in Federal Business Opportunities. However, responses to this notice will not be considered adequate response to a solicitation. R — Emergency Preparedness Technical Assistance 2013-S-037 031113 Nicole A. Barnes, Email nicole_barnes@saa.senate.gov DESC: MARKET SURVEY AND BIDDERS LIST DEVELOPMENT – SOURCES SOUGHT REQUEST FOR OUTSOURCING OF EMERGENCY PREPAREDNESS TECHNICAL ASSISTANCE. The purpose of this sources sought synopsis is to gain knowledge of potential qualified industry sources or service providers for Emergency Preparedness Technical services and support. This support shall include technical and support services for assistance in emergency planning, training and exercising assistance provided to the United States Senate, Office of the Sergeant at Arms (SAA), Office of Continuity and Emergency Preparedness Operation which ensures Senate Offices located throughout the Capitol Complex are prepared with information on protective actions to be taken by the office in response to a wide variety of possible threats. The SAA is currently conducting market research to determine the existence of viable organizations capable of providing the necessary services in support of its emergency preparedness operations. This is not a request for proposal and in no way obligates the Senate in an award of a contract. This sources sought synopsis contains the most currently available information. This information is subject to change at any time. Requirements are stated in terms of minimum capabilities and characteristics required by the Senate. 1) The Contractors shall be located no more than 50 miles driving distance from the United States Capitol Building. RESPONSES: In responding to this SSN, state your qualifications to perform each of the mandatory requirements listed above. Your response to each requirement must include paragraph numbering identifiable to requirements listed above. In addition, submissions must include: a) past performance experience/information in each requirement for a minimum of three contracts of similar scale, less than two (2) years old that involve use of capabilities and products relevant to those necessary for the Senate’s requirements, including contract number, customer name and address, and brief synopsis of work performed relevant to requirements 1-5 listed above, b) organizational information including your Dun and Bradstreet number and point of contact with telephone, fax and e-mail address. After receipt and review of the responses to this SSN , the SAA intends to issue a solicitation. The information contained in this notice will be the only information provided by the Senate during the Sources Sought process. All qualified sources should respond to this Sources Sought by submitting an information package in accordance with the instructions provided. Vendors responding to this notice and deemed qualified by the SAA may be requested to submit a proposal in response to a solicitation. Only firms deemed qualified will be permitted to submit proposals. If suitable responses are received from qualified sources, the SAA anticipates release of a solicitation during the second quarter of Fiscal Year 2013. Neither the SAA nor the Senate will be responsible for any costs for the preparation of responses to this request. INSTRUCTIONS: Responses to this Sources Sought request are due to the POC no later than March 11, 2013, at Noon. EST and shall be submitted electronically via email only to the attention of Nicole A. Barnes at acquisitions2012@saa.senate.gov. The subject line of the email message shall be: SSN 2013-S-037 EMERGENCY PREPAREDNESS TECHNICAL ASSISTANCE . No other method of transmittal will be accepted. The response shall not exceed twenty-five (25) pages. Unnecessarily elaborate submissions are discouraged. Pages over the page limitation may be discarded. Access by the SAA to information in any files attached to the response is the responsibility of the submitting party. Neither the SAA nor the Senate is responsible for any failure to access vendor’s information. THIS IS NOT A REQUEST FOR PROPOSAL. THIS NOTICE CONSTITUTES THE ENTIRE SOURCES SOUGHT NOTICE AND IS THE ONLY INFORMATION PROVIDED BY THE SAA OR SENATE. ANY REQUESTS FOR ADDITIONAL INFORMATION WILL NOT BE HONORED. 99 — MRO CONUS PRIME VENDOR SPM8E313RMROCONUS 022213 Danielle E. DiMedio, Acquisition Specialist, Phone 2157378288, Email danielle.dimedio@dla.mil – Lauren M. Odorisio, Contract Specialist, Phone2157377626, Email lauren.odorisio@dla.mil This Sources Sought/Request for Information (RFI) issued by DLA Troop Support Philadelphia is for the purpose of conducting market research for the next generation of Tailored Logistic Support Contracts – TLSC (Prime Vendor) for maintenance, repair and operations (MRO) in seven projected regions of the United States as depicted on the map on Page 2. A TLS Prime Vendor is a supplier of a wide variety of products within a specific industry/sector, which along with supplying those products provides additional capabilities such as the ability to take orders directly from customers, customer service, and distribution. The seven projected regions (and states) covered by this RFI include: 1) Northeast (Maine, New Hampshire, Vermont, Massachusetts, Rhode Island, Connecticut, New York, New Jersey, Pennsylvania, Delaware, Maryland, Virginia, West Virginia, District of Columbia); 2) North Central (Ohio, Michigan, Indiana, Illinois, Kentucky, Wisconsin, Missouri, Iowa, Minnesota, North Dakota, South Dakota, Nebraska); 3) South Central (Louisiana, Arkansas, Texas, Oklahoma, Kansas, New Mexico, Colorado); 4) Northwest (Washington, Oregon, Northern California, Idaho, Montana, Wyoming); 5) Southwest (Southern California, Nevada, Utah, Arizona); 6) Alaska; and 7) Hawaii. MRO products include all items associated with the maintenance, repair and operation of a facility to include but not limited to: HVAC; refrigeration; paint; hardware; assorted fixtures; landscape and grounds supplies; plumbing supplies; electrical products (including generators, wire/cable, connectors, sockets, outlets, lights, etc. ); tools of various kinds; chemical, lubricating, and rubber products and products including same; construction supplies including but not limited to cement, lumber and plywood, bricks, blocks, steel, aluminum, and other metal products, conduits, prefabricated structures to include re-locatable buildings (RLBs & ablution units), etc. ; perimeter security items such as barriers, barbed wire, concertina wire, and sand bags; communication devices (such as walkie-talkies, two-way radios, etc. used by the maintenance personnel) AND related incidental services. All items are brand name specific or generic commercial products that are identified by a manufacturer’s commercial item description or part number. There is typically a 60 day “ramp up” period between award and full implementation of TLS contracts for this type of effort. It should be noted that this inquiry, in no way, should be interpreted as a solicitation for offers. This notice is issued for the purpose of market research and no information provided in response to this inquiry will be considered binding between the vendor and the Government. The Government is in no way obligated to purchase any material as a result of this inquiry. The Government will not pay for any information submitted by respondents in response to this Sources Sought/RFI Notice. With this in mind, it is requested that you review and answer the questions on the attached pages. Please identify the region(s) you are interested in becoming a Government partner to provide MRO support to Military and Federal customers. The answers you provide will remain confidential. Please return this survey to Danielle DiMedio, at danielle.dimedio@dla.mil by COB February 22, 2013. If you have any questions or concerns, please contact Danielle at 215-737-8288. R — FEDLINK Information Retrieval Services Strategic Sourcing LCFDL13R7000 Deborah B Burroughs, Senior Contract Specialist, Phone 202-707-0460, Fax 202-707-0485, Email dbur@loc.gov – Charles A. Wilson, Contract Specialist, Phone 202-707-0444, Fax 202-707-0485, Email chwi@loc.gov The Library of Congress intends to issue Request for Proposal (RFP) #LCFDL13R7000 for Information Retrieval Services Strategic Sourcing for the LC/FEDLINK Program. The objective of the solicitation is to establish multiple Indefinite Delivery/Indefinite Quantity (IDIQ) Contracts for acquisition of or access to commercial off-the-shelf (COTS) electronic information resources in many publication formats for the FEDLINK program. FEDLINK is a nationwide interagency consortia sponsored by the Library of Congress. These will be multi-agency contracts (MACs) established in accordance with the Library of Congress (LC) Fiscal Operations Improvement Act, P.L. 106-481, Section 103 (2 U.S.C. § 182c.) 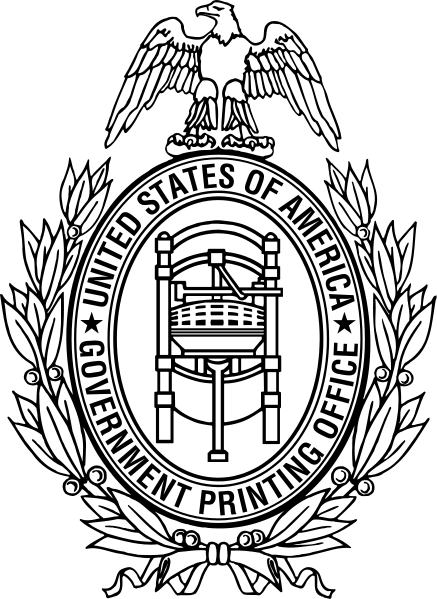 Any federal entity including the executive branch, the legislative branch, the judicial branch, and independent agencies as well as contractors to government agencies who are authorized to use federal sources of supply may be authorized to place orders under these contracts in accordance with the terms and procedures described in the solicitation. Lot 1 – Electronic Databases/Publications. Products under Lot 1 covers publishers and vendors who provide access to commercial off-the-shelf electronic materials in many publication formats: information retrieval database services, newsfeeds, current awareness services, portal or content management services, electronic serials, and electronic books. Lot 2 – Document Delivery Services. Under Lot 2 vendors shall provide machine-readable or print copies of published and unpublished materials in response to specific citation requests. Materials typically include journal and newspaper articles, conference papers and proceedings, annual reports, technical reports, dissertations and theses, official legal, financial and patent documents. Lot 3 – Vendor Associated Publications. Under Lot 3 vendors and publishers that offer Electronic databases/publications under Lot 1 may also provide their commercial off-the-shelf print, video, microform or multimedia publications. Lot 4 – Specialized Access/Product Integration. Under Lot 4 vendors that offer commercial electronic databases/publications or document delivery services under Lots 1 and/or Lot 2 may tailor their electronic resources packages for individual customers. Vendors may offer specialized file groupings, access to customer’s own files, special interfaces, and research assistance. The RFP will be issued on or about February 15, 2013. The services of book jobbers and serials subscription agents are covered under separate LC/FEDLINK solicitations and are not the subject of this solicitation. This solicitation EXCLUDES general or standard computer or telecommunications equipment not essential for content access or retrieval; furniture and supplies; database development and implementation for customers; and personal services such as on-site reference/research staff. Vendors are responsible for ensuring that all RFP amendments are received prior to submittal of proposals. Please check this siteperiodically for amendments or clarifications to the RFP. All proposals must be submitted as specified in Section L of the solicitation. For information about the Library of Congress FEDLINK Program, please visit ourwebsite at http://www.loc.gov/flicc. For additional information about other FEDLINK services, please contact Jim Oliver, FEDLINK Vendor Services Coordinator, at joli@loc.gov. THIS IS NOT A SOLICITATION. This is a Request for Information (RFI)/Sources Sought notice issued in accordance with FAR 15.201(e) to conduct market research. This RFI is issued solely for information and planning purposes – it does not constitute a Request for Quote (RFQ) – or a promise to issue a RFQ in the future. This request for information does not commit the Government to contract for any supply or services whatsoever. The Department of Veterans Affairs (VA) is not, at this time, seeking proposals and will not accept unsolicited costs incurred in response to this RFI; all costs associated with responding to this RFI will be solely at the interested vendor’s expense. Not responding to this RFI does not preclude participation in any future RFQ, if any is issued. Any information submitted by respondents to this RFI is strictly voluntary. All submissions become Government property and will NOT be returned. This announcement is based upon the best information available and is subject to future modification. A skilled contractor is needed to provide an objective and independent assessment of software product and related processes throughout the project lifecycle. The contractor shall test the entire solution from the functional standpoint in order to verify that all features documented are working as specified in the requirements and design documents. Please review the attached draft Performance Work Statement (PWS) detailing the scope and requirements for the User Acceptance Testing (UAT). (3) Orders set aside for small business or 8(a) concerns under multiple-award contracts as described in 8.405-5 and 16.505(b)(2)(i)(F). This is only an overview/summary does not include all requirements to complete Performance Work Statement (PWS). Specific Response Instructions: Please submit your RFI response in accordance with the following: 1) No more than 15 pages (excluding transmittal page). Include the name, email address and phone number of the appropriate representative of your company; 2) Submit your response via email to Maurice Walker @ Maurice.Walker@va.gov. 3) Submit your response by 4 P.M. (EST) on 2/14/13; 4) Mark your response as “Proprietary Information” if the information is considered business sensitive. 5) NO MARKETING MATERIALS ARE ALLOWED AS PART OF THIS RFI. The government will not review any other information or attachments included, that are in excess of the 15 page limit. 1. Provide the company size and POC information. 2. 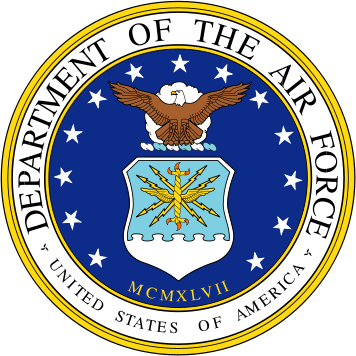 VA has identified the appropriate North American Industry Classification System (NAICS) Code 541511 Custom Computer Programming Services, which has a size standard of $25.5 Million for this RFI. Please identify and explain any other NAICS codes your company believes would better represent the predominated work included in the attached PWS. 3. Indicate whether your company, subcontractors, teaming partners, joint ventures have a Federal Socio-Economic Status, e.g., Small Business, Service-Disabled Veteran Owned Small Business, Veteran Owned Small business, Women-Owned Small Business, Disadvantaged Small business, and Hub Zone. If Service Disabled or Veteran Owned Small business, is your company and or partners registered in VA’s VetBiz repository? 2. Background/Past Experience – Provide the following information on a maximum of three similar projects dealing with independent assessments of software product implementations and user acceptance testing. All projects referenced must have been completed within the last three years for which the responder was a prime or subcontractor. 1. The name, address, and value of each project. 5. Your company’s role and services provided for each project. 1. Assessment of capabilities to perform requirements noted in the RFI. 2. Assessment of the types of changes required to accomplish the goals. 4. Draft schedule to complete necessary changes. 4. Teaming Arrangements – Description of Teaming Partners, Joint Ventures that your company would consider to perform work. 5. Price Information – Provide your commercial price history and rough order of magnitude for the same or similar products/solutions. 6. Other Market Information – Provide any other relative information, this information must be included within the 15 page limitation. The Chief Business Office (CBO) is responsible for a broad range of business activities associated with health care benefit delivery. These activities occur both at the national and local medical facility level and are governed by statute and policy. The CBO is responsible for developing the business processes supporting the statute and policy governing VHA business programs. In addition, CBO is responsible for the timely and appropriate resolution of veteran inquiries and cases. The Contractor shall provide User Acceptance Test (UAT) services and manages tasks to support the Chief Business Office Systems Management (CSM) and their Customers. The Contractor’s services should provide an objective and independent assessment of the software product and related processes throughout the project lifecycle. The Contractor shall test the entire solution from the functional standpoint in order to verify that all the features documented are working as specified in the Requirements and Design documents. CSM team members employ specialized knowledge; skills and experience that help reduce a project’s level of risk and thereby increase its likelihood of success. The suite of CSM tools improves a project’s probability of success by building on what has proven to be successful. Project management processes (e.g., risk management, requirements development, project planning, configuration management, and project monitoring and control) are tailored to fit the size and scope of the project and provide proven procedures that lead to a desired result. The phases included in the CSM project management approach include initiating, planning, executing, monitoring and controlling, and closing out the project by transferring the completed product to the stakeholders and end users. From the Initiation through Execution phases processes are in place to support a project request from various stakeholders (such as the CBO Business Engineering Services Team), track status, monitor projects and tasks to further increase the likelihood of project success and provide senior managers with the visibility into the status of a project. Provide User Acceptance Test (UAT) services that include an objective and independent assessment of software product implementations and related processes throughout the project lifecycle. The Contractor will work with Subject Matter Experts and Stakeholders to develop Test Cases and Test Scenarios, define Test Bed requirements, and to execute Testing tasks. Documents referenced or germane to this Performance Work Statement (PWS) are listed below. The Contractor shall be guided by the information contained in the documents in performance of this PWS. o VA Handbook 6500.2, “Management of Security and Privacy Incidents,” June 17, 2008.
o VA Handbook 6500.3, “Certification and Accreditation of VA Information Systems,” November 24, 2008.
o VA Handbook, 6500.5, Incorporating Security and Privacy in System Development Lifecycle. The period of performance for the contract shall is one (1) twelve (12) month base period with two (2) twelve (12) month optional periods. Any work at the government site shall not take place on Federal holidays or weekends (but may require off-hour work due to network loading or other disruptions that could occur) unless directed by the Contracting Officer (CO). 4.2.1 Performance Type of Order: Firm Fixed Price (FFP). Place of Performance: The Contractor shall provide all facilities required to support staff assigned to this task order including network connectivity, office space, furniture, and personnel support. Regardless of staff location, the Contractor shall provide contract staff with end user computing equipment including common desktop computing software and hardware to perform the required services and in conformance with the VA guidelines. The Government shall provide VA specific software such as VPN and Remedy. The Contractor shall not transmit, store or otherwise maintain sensitive data or products in systems or media other than VA provided systems within the VA firewall and as permitted by VA and Federal policies. The VA may decide to provide Government Furnished Equipment (GFE) to the Contractor at the Government’s discretion. For the purposes of travel cost estimation, the contract place of performance is assumed to be located in Atlanta, GA. The Government shall not be required to pay for contractor travel costs in order to provide services required in Atlanta, GA or its metropolitan area. Hours of service: The contractor shall provide service during normal business hours from 8:00am to 4:30pm Eastern Time Zone Monday through Friday unless otherwise agreed between Contractor and Program Manager. “Business Day” is defined as Monday through Friday, excluding standard Federal Holidays and any other day specifically declared to be a national holiday. Travel to attend project related meetings and reviews will be required through the period of performance. Travel shall be conducted on a firm fixed price basis and requires concurrence by the VA Project Manager (VA PM) and COTR in advance. Note: Although these are the anticipated travel locations, the decision on the destination is to be determined by the VA PM and approved by the COTR. The budgeting shall be based on anticipated number of days of travel (approximately 50 days for the first period of performance and 50 for the each of the option years). The contractor shall have practical experience using best business Test Management practices, standard and agile project management, and with systems integration. This experience must be described in the proposal. The Contractor shall perform the tasks and create the deliverables described in this statement of work (SOW). The Contractor shall provide resources that have proven experience using best business Test Management practices, standard and agile project management, Test Management Tools and with systems integration. All written deliverables shall be phrased in layperson language. Statistical and other technicalterminology and conclusions shall not be used without providing a glossary of terms, any applicable models, and a description of the methodology and underlying approach used. For every task, the Contractor shall identify in writing all necessary subtasks (if any) to an appropriate work package level, associated costs by task with related sub-milestone dates. The Contractor’s subtask structure shall be reflected in the technical proposal. The Contractor shall provide a detailed Task Order management plan, work plan, project plan, briefing, and kick-off meeting for the Government that presents Contractor’s plan for completing the Task Order. It shall include the Contractor’s approach to technical and functional activities needed for management of this SOW, including schedule of deliverables, productivity and management methods such as Quality Assurance, Configuration, Work Breakdown Structure, and Human Engineering and describe in further detail the processes to be used for each aspect of the task order as defined in the technical proposal. The project and work plans shall be kept up to date throughout the life cycle of the contract to ensure it represents all tasks and current timelines. The Contractor shall complete standard administrative tasks (e.g., background investigation forms, staff roster, mandatory training), and regular task updates including burn rates, progress, risks, issues, and opportunities. The Contractor’s Task Order Management Plan shall be delivered within ten (10) business days from date of award and shall describe the technical approach, organizational resources, and management controls to be employed to meet the cost, performance, and schedule requirements throughout task order execution. It should include a detailed project plan and a work plan in Microsoft Project or the VA approved project management software as agreed by the VA PM. The Plan shall include the base period of performance and the plans for optional years. The Contractor shall perform regular updates to the project and work plans as needed during the performance period to ensure the work plan is kept up to date. Updates are required whenever additional activities are deemed necessary, when activities are identified as no longer needed, and/or when the planned completion date of any activity is changed or at a minimum on a monthly basis. These plans will be approved by the CSM Director or Deputy Director. The Contractor shall coordinate with the COTR a kick-off meeting to review the Task Order Management Plan within fifteen (15) business days from date of award or as agreed upon between VA PM and Contractor. The meeting shall include a project advisory group comprised of key stakeholders and subject matter experts (SMEs) to be identified by the VA PM in order to ensure common understanding of requirements and to set expectations. At the kick-off meeting, the Contractor shall present the details of their intended approach, work plan, project plan, and project schedule, including deliverable dates, for review and approval by the advisory group. Work will not commence until the CSM Director or Deputy Director approves the approach and/or methodology, work plan, and schedule on behalf of the project advisory group. Contractor shall confirm and provide a roster of key personnel to the Contracting Officer within five (5) business days after award. It shall include a full and complete list of names, Social Security Numbers, and home addresses of personnel for the Background Investigation requirement. Mandatory training (e.g., Privacy, Security) required as of the date of award of the order shall be completed and documented as appropriate within twenty (20) business days from date of award. If performance on this order crosses the anniversary date for recurring annual training requirements, such training must be completed within twenty (20) business days of the anniversary date. Training completed by individual staff within the same fiscal year under separate orders as otherwise required for this deliverable will be accepted so long as appropriate documentation is submitted. The Contractor shall submit electronically to the CBO COTR within twenty-five (25) business days of award – or in the case of staff added after performance begins, twenty-five (25) business days of their on-board date – a complete status of training for all staff. Contractor shall submit the signed Business Associate Agreement (BAA) to the Contracting Officer within five (5) business days from date of award. The Contracting Officer will countersign and provide Contractor with a completed copy. The Contractor shall deliver weekly activity and cost management reports. The Contractor may propose formats for the reports, and receive agreement from the Project Manager(s). First report is due within ten (10) business days from contract award, and every Thursday thereafter for the term of the contract. Business requirements are developed into systems/applications by the Office of Information and Technology (OI&T) and delivered to the business for UAT. UAT provides the customer with an opportunity to test the software solution, simulate a production environment and allow the validation of the requirements outlined in the Vision and Scope Document (V/S), Business Requirements Document (BRD), and Requirements Software Documentation (RSD). UAT is a method to improve the quality and effectiveness of the product by determining if the system is acceptable and capable of delivering accurate, timely information and satisfactory service to VHA users. As part of User Acceptance Plan, the UAT team will validate end-to-end business functionality to assess whether the application performs to a customer defined acceptable level of application functionality and stability. The Contractor shall be responsible for coordinating the access and availability of databases and applications required to conduct the ‘end-to-end’ testing for the UAT being conducted. Level 1: The integration of components of the required systems; inclusive of testing for defects, coding errors, 508 compliance (as appropriate), and usability. Level 2: To assure the complete system has been delivered. In this level of testing, the business owner is looking to guarantee components/interfaces have not been left out and/or the system conforms to the specified use case requirements. Level 3: To assure the system meets the critical business requirements, such as end-to-end business functionality, volume, performance, and stress testing. Users of the system with the support of the contractor will perform tests, which analysts and developers have derived from the requirements gathered from the business as well as test scenarios written by users. The majority of the UAT testing is anticipated to take place in Atlanta, GA. The Contractor shall develop a UAT Management Plan describing the activities, personnel, schedule, standards, and methodology for conducting the UAT for each one of the project engagements (UAT table) listed above. The UAT should be a repeatable process where lessons learned from previous efforts are incorporated to continuously improve the UAT process. The Contractor shall support the customer in performing User Acceptance Testing efforts as described in this Task and for the projects listed in the UAT table above. The activities include UAT planning, designing user acceptance test cases, assist in selecting team to execute UAT test cases, oversee the execution of test cases, documenting defects found during UAT, and providing a summary report upon completion of each UAT. The User Acceptance Test Cases shall be developed in simple language and outline the precise steps to help the Test Execution Team test the application thoroughly. They shall be developed to ensure that the UAT provides sufficient coverage of all the scenarios and will be mapped to the Requirements Traceability Matrix. The User Acceptance Results Document shall be documented in a mutually agreed upon format. It shall document any issues found, such as bugs, crashes, or missing functionality. SCOPE: These specifications cover the production of separate cover pamphlets requiring such operations as material pickups, electronic prepress, typesetting, image correction, proofs, printing in four-color process plus aqueous coating, stepped pages, pockets, die-cutting, trimming, folding, binding, shrink film wrapping, packing, mailing and distribution. This is a pre-solicitation MARKET SURVEY to obtain commercial information relative to from small businesses services, materials, transportation, labor and other incidentals necessary to ensure the supply of books and DVD movies for the Joint Base McGuire-Dix-Lakehurst Library . REQUIREMENT: One 30-book unit and one 5-DVD movie unit per month. a. By the second week of the month of the month, the contractor will provide a “prepublication list” for books and DVD movies with catalog giving descriptions of the title (i.e. Kirkus Book Review, NY Times Best Sellers, Oscar-winning DVD titles). b. Each book will be pre-covered with book jacket, spine-labeled and bar-coded on the top last page of the book. Each DVD movies will be in a picture case, spine-labeled and bar-coded inside top left cover of the case. The spine-labels will read “Joint Base MDL Library” and be placed one centimeter above the bottom of book or DVD case. c. All books and DVD movies must be from the latest publication and new released version. g. An allowable inventory level of 30 books per month and 5 DVD movies should be 420 physical titles. Returns to be quarterly. Choice as to which books to be returned with a 30% retention level. 87th Contracting Squadron is conducting market research ONLY. No award will be made as a result of this synopsis nor are any solicitation materials available. Information requested includes commercial methodologies and practices relative to the above maintenance and repair services, including contract type(s), known market forces, challenges to successful acquisition and current industry standards, processes and practices(e.g. terms and conditions, warranties, financing, etc.). Please send pertinent information via email to John Kenneh at john.kenneh_jr@us.af.mil or Max Kenneybrew at mathuei.kenneybrew@us.af.mil. 99 — MRO CONUS PRIME VENDOR SPM8E313RMROCONUS 030113 Danielle E. DiMedio, Acquisition Specialist, Phone 2157378288, Email danielle.dimedio@dla.mil – Lauren M. Odorisio, Contract Specialist, Phone 2157377626, Email lauren.odorisio@dla.mil This Sources Sought/Request for Information (RFI) issued by DLA Troop Support Philadelphia is for the purpose of conducting market research for the next generation of Tailored Logistic Support Contracts – TLSC (Prime Vendor) for maintenance, repair and operations (MRO) in seven projected regions of the United States as depicted on the map on Page 2. A TLS Prime Vendor is a supplier of a wide variety of products within a specific industry/sector, which along with supplying those products provides additional capabilities such as the ability to take orders directly from customers, customer service, and distribution. The seven projected regions (and states) covered by this RFI include: 1) Northeast (Maine, New Hampshire, Vermont, Massachusetts, Rhode Island, Connecticut, New York, New Jersey, Pennsylvania, Delaware, Maryland, Virginia, West Virginia, District of Columbia); 2) North Central (Ohio, Michigan, Indiana, Illinois, Kentucky, Wisconsin, Missouri, Iowa, Minnesota, North Dakota, South Dakota, Nebraska); 3) South Central (Louisiana, Arkansas, Texas, Oklahoma, Kansas, New Mexico, Colorado); 4) Northwest (Washington, Oregon, Northern California, Idaho, Montana, Wyoming); 5) Southwest (Southern California, Nevada, Utah, Arizona); 6) Alaska; and 7) Hawaii. MRO products include all items associated with the maintenance, repair and operation of a facility to include but not limited to: HVAC; refrigeration; paint; hardware; assorted fixtures; landscape and grounds supplies; plumbing supplies; electrical products (including generators, wire/cable, connectors, sockets, outlets, lights, etc. ); tools of various kinds; chemical, lubricating, and rubber products and products including same; construction supplies [including but not limited to cement, lumber and plywood, bricks, blocks, steel, aluminum, and other metal products, conduits, prefabricated structures to include re-locatable buildings (RLBs & ablution units), etc. ; perimeter security items such as barriers, barbed wire, concertina wire, and sand bags; communication devices (such as walkie-talkies, two-way radios, etc. used by the maintenance personnel) AND related incidental services. All items are brand name specific or generic commercial products that are identified by a manufacturer’s commercial item description or part number. It should be noted that this inquiry, in no way, should be interpreted as a solicitation for offers. This notice is issued for the purpose of market research and no information provided in response to this inquiry will be considered binding between the vendor and the Government. The Government is in no way obligated to purchase any material as a result of this inquiry. The Government will not pay for any information submitted by respondents in response to this Sources Sought/RFI Notice. With this in mind, it is requested that you review and answer the questions on the attached pages. Please identify the region(s) you are interested in becoming a Government partner to provide MRO support to Military and Federal customers. The answers you provide will remain confidential. Please return this survey to Danielle DiMedio, at danielle.dimedio@dla.mil by COB March 1, 2013. If you have any questions or concerns, please contact Danielle at 215-737-8288. U — Course of Instruction H92244-13-T-0126 021513 Josephine Ocampo, Phone 757-862-9470, Fax 757-862-0809, Email josephine.ocampo@vb.socom.mil This is a combined synopsis/solicitation for CommercialItems in accordance with the format prescribed in Subpart 12.6, as supplemented with additional information included in this notice. This announcement constitutes the only solicitation; proposals are requested and a written solicitation will not be issued. The solicitation is being issued as a Request for Quote (RFQ); solicitation number is H92244-13-T-0126, and a firm fixed price contract is contemplated. All responsible sources may submit a quote which shall be considered by the agency. The solicitation document and incorporated provisions and clauses are those in effect through Federal Acquisition Circular 2005-65 effective 29 Jan’13. This procurement is 100% small business set-aside and the associated North American Industry Classification System (NAICS) code is 611699 with a business size standard of $10 million. The DPAS rating for this procurement is DO-S10. The contractor shall provide a 5-Day On and Off-Road Driving Course of Instruction (COI) in the month of September 2012 for six (6) students. • At a minimum the contractor shall provide student to instructor ratio of 2:1 (3 driving instructors). • Instructors shall have at least 5 years experience of Professional Instructing in vehicle handling and driving. • Instructor shall be able to provide written evaluation of each driver on: vehicle control skills, precision and consistency, mental skills and vehicle empathy. • The contractor’s COI shall include training in on/off road rally driving skills and awareness in multiple styles of vehicles with a full range of terrains and surfaces for up to six government personnel at a time. • Contractor’s facility is required to be located within 50 miles of major airport to keep transportation cost at a minimum. • Instructors must have experience training Special Operations Forces (SOF) personnel in the areas of off-road and evasive techniques. • In general the COI shall include the following: paved/unpaved road driving, off-road driving, emergency response driving, anti-brake system and non-abs straight line braking drills, turning and braking drills, slalom, instinct response drills, skid control, off-road recovery, high speed driving, cornering techniques, braking zones, obstacle negotiation, recovery techniques, trail drives, left foot breaking, reversing, night driving, controlling under/over steering, pendulum turns. • The contractor shall provide all safety equipments such as helmets and fire extinguishers. Rally cars must have rollover cages installed. • Paved road course with greater than 1 mile of configurable courses that can be used to develop skills on wet pavement. • 15 acre minimum area with gravel road developed for high speed rally use. Classroom space for 6 students each for the entire training to include audio and visual aids. Contractor’s facility is required to cover assorted off-road like terrain (with elevation changes), assorted terrains and road conditions. The Government will not sign any release forms, as Government liability is governed by the contract and applicable Federal law and regulation. Following Clauses and Provision applies to this procurement. (i) Technical – Offeror shall provide detailed training program for evaluation. Offeror shall also provide certifications or other documentations necessary to validate that it meets requirements in accordance with the requirements. (ii) Past Performance – Offerors shall provide name, title, and phone number of principal for no less than three prior or current contracts/agreements for similar scoped projects performed during the previous three years. To be technically acceptable, the submitting offeror must submit relevant and current past performance in ALL areas noted in this combined synopsis/solicitation. The Government will evaluate each offeror’s experience on the basis of its depth and its relevance to the work that will be required under the prospective contract. (iii) Price -All line items will be reviewed for price reasonableness. The Contractor shall not comply with any order, direction or request of Government personnel unless it is issued in writing and signed by the Contracting Officer, or is pursuant to specific authority otherwise included as part of this contract. Except as specified herein, no order, statement, or conduct of Government personnel who visit the contractor’s facilities or in any other manner communicates with Contractor personnel during the performance of this contract shall constitute a change under the Changes clause in Section I. In the event the Contractor effects any change at the direction of any person other the Contracting Officer, the change will be considered to have been made without authority and no adjustment will be made in the contract price to cover any increase in cost incurred as a result thereof. The address and telephone number of the Contracting Officer is Christine Anderson, telephone (757) 862-9469. 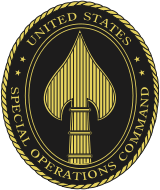 (a) On September 21, 2001, the Department of Defense designated Headquarters US Special Operations Command (USSOCOM) a sensitive unit, as defined by Title 10 United States Code (USC) Section 130b (10 USC 130b). In keeping with this designation, unclassified information related to USSOCOM military technology acquisitions managed by USSOCOM or any of its component commands, will be designated Controlled Unclassified Information (CUI). As such, the contractor hereby unequivocally agrees that it shall not release to anyone outside the Contractor’s organization any unclassified information, regardless of medium (e.g., film,tape, document, contractor’s external website, newspaper, magazine, journal, corporate annual report, etc. ), pertaining to any part of this contract or any program related to this contract, unless the Contracting Officer has given prior written approval. Furthermore, any release of information which associates USSOCOM, Special Operation Forces (SOF), or any component command with an acquisition program, contractor, or this contract is prohibited unless specifically authorized by USSOCOM. (b) Request for approval shall identify the specific information to be released, the medium to be used, and the purpose for the release. The contractor shall submit the request to the Contracting Officer at least 45 days before the propose date for release for approval. No release of any restricted information shall be made without specific written authorization by the Contracting Office. (c) The Contractor shall include a similar requirement in each subcontract under this contract. Subcontractors shall submit request for authorization to release through the prime contractor to the Contracting Officer. (d) The Contractor further understands that Title 18 USC Section 701 specifically prohibits the use of the USSOCOM emblem or logo in any medium (e.g., corporate website, marketing brochure, news paper, magazine, etc.) unless authorized in writing by USSOCOM. Forward any request to use the USSOCOM emblem or logo through the Contracting Officer. Offerors must scrutinize this solicitation and ensure their proposals and submissions comply with all requirements. It is not sufficient to merely state your proposal complies with the solicitation requirements. You must clearly identify how your proposal meets ALL of the solicitation requirements. Point of Contact for this solicitation is Jo Ocampo at josephine.ocampo@vb.socom.mil or phone (757) 862-9470 or fax to (757) 862-0809. 99 — Replace runway #23 localizer (TQR) Equipment Building and relocation of an existing Antenna Array, located at the Tri-City (MBS) Airport, Saginaw, Michigan DTFACN-13-C-00135 021213 Diane Ayen, diane.ayen@faa.gov, Phone: 847-294-7321 Click here to email Diane Ayen The Federal Aviation Administration (FAA) has a requirement to replace runway # 23 localizer (TQR) Equipment Building and the relocation of an existing Antenna Array, located at the Ti-City (MBS) Airport, Saginaw, Michigan. This procurement will be 100% set-aside for small business NAICS code 238210. (Electrical Contractor Services). Also the contractor must be registered in the SAM website at http://www.sam.gov at the time the offer is made. The estimated price range is between $75,000.00 to $150,000.00. The Request for Proposal (RFP) will be issued approximately February 25, 2013. To qualify to receive a copy of this Request for Proposal (RFP) prospective offerors must provide evidence that they are a small business ie: annual revenues less than $14.00 million dollars. There will be three (3) evaluation criteria that will be used namely (1) contractors past performance, (2) proof that your company is a small business. (3) Financial statements past three (3) years. May Be requested Bid & Performance & payment bonds will be required. All requests to receive a copy must be in writing via e-mail or fax to the Contracting Officer Diane Ayen. Diane.ayen@faa.gov, at 847-294-7321 or Peter Ruddy peter.ctr.ruddy@faa.gov 847) 294-8062, with the company name, mailing address, telephone number, e-mail address, and the complete RFP number. No telephone request or request after the deadline of February 12, 2013, will be accepted. If you’re viewing this announcement from a source other than Federal Aviation Administration Contract Opportunities (FAACO), visit https://faaco.faa.gov/index.cfm/announcement/view/13020 to view the original announcement. 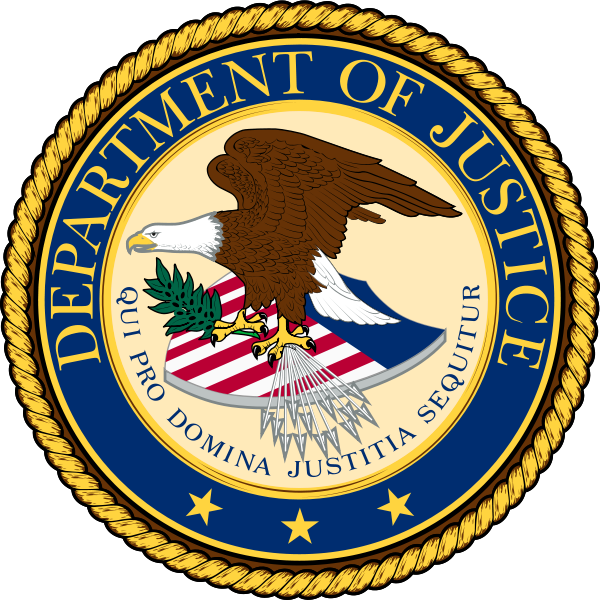 The Supplier will perform investigations of discrimination complaints, management initiated investigations of harassment allegations that are not discrimination complaints, and compensatory damages claims and prepare Reports of Investigation (ROI) for the United States Postal Service (USPS) National Equal Employment Opportunity Investigative Services Office (NEEOISO) and its federal agency customers. e. Submitting a final ROI, based on a complete review and analysis of the facts. If you are qualified to perform the above services and are interested in applying for the position, you will need to respond to the information under Section D on page 19 of the Solicitation attached. Pages 2 through 14 are the Provisions and Clauses that are required for you to accept in order to provide services for the United States Postal Service. Signing the attached 8203 is your acceptance to these conditions. Pages 16 through 18 is the Statement of Work (SOW) which explains the type of work you will be performing. Page 19 through 23 is information on your proposal, how to submit and the qualifications. As mentioned under item B, you are limited to only three (3) pages for your responses to the Technical & Supplier Capability and Past Performance. On page 20, under Technical & Supplier Capability, the items are listed as i, ii, iii, etc, I recommend that you only list the letter and then your response to save space; the same with Past Performance. If you exceed the three (3) pages for your response to these, we will remove the last pages that exceeds that number and the evaluation will only be performed on the first three (3) pages. Note – Cover pages, tables of contents and resumes do NOT count towards the page limitation. NOTE: THIS IS AN AGREEMENT BETWEEN AN INDIVIDUAL AND THE USPS ONLY! The contractor shall operate the aforementioned Job Corps Center which includes provisions for academic, vocational, social skills, career preparation, career development training, and related support services for an estimated total of 1,300 students categorized as follows: 450 residential female students, 850 residential male students, zero non-residential female students and zero non-residential male students. Job Corps targets disadvantaged youth ages 16 to 24 years of age. The successful contractor shall also provide overall center management, procurement management, property management, facility operations, maintenance services, and security. All activities shall be in compliance with applicable DOL/Job Corps regulations, policies, and handbooks. The successful contractor will operate the Earle C. Clements Job Corps Center with the services shown above for a two year base period beginning 11/01/2013 through 10/31/2015. Additionally, the contract will include three 12-month Option periods to extend the contract performance through 2018. North American Industry Classification System (NAICS) code for this acquisition is 611519. A Pre-proposal Conference/Site Visit is tentatively scheduled for Thursday, March 7th 2013, at 9:30 a.m. LOCAL TIME at Earle C. Clements Job Corps Center located at 2302 U.S. HWY 60 E, Morganfield, Kentucky 42437. The RFP is only available by downloading from the Federal Business Opportunity website at http://www.fedbizopps.gov. We recommend that you download a copy and bring it with you to the conference. Questions regarding the RFP should be submitted by e-mail, prior to the conference, to the Contracting Officer, Gail Thomsen. Written proposals in response to this RFP are scheduled to be received at the US Department of Labor/Office of Contract Management at 170 S. Independence Mall West [The Curtis Center] Suite 825 East, Philadelphia, PA 19106 by 1:00 p.m. Local Time on or about April 04, 2013. The submittal package should be marked ATTN: Ms. Gail Thomsen, Contracting Officer. It is strongly requested that all contractors planning to attend the Site Visit/Walk-thru and Pre-proposal Conference notify the Contracting Officer with an e-mail of your intention to attend and the number of participants. An ‘Interested Vendor List’ has been opened on the FBO website for this procurement. It is strongly encouraged that all contractors who have downloaded the RFP register at the website to receive automatic notifications of amendments and e-mails. Point of Contact for this procurement is Gail Thomsen, Contracting Officer, Philadelphia Region at (215) 861-5846. 76 – SNAP Ed Promotional ItemsAttachment A Addendum 1 SOL K-0669-13 SNAP Ed Promotional ItemsAttachment A Addendum 1 For more information about this opportunity please contact the buyer directly. R – Dining Services Contract Management Request for Information (RFI SOL UK-1238-13 Dining Services Contract Management Request for Information (RFI)Attachment A-Envison Strategies Dining Services Master PlanAttachment B-Dining Service UnitsAttachment C-Dining Site Square FootageAttachment D-Dining Floor PlansAttachment E-Catering DashboardAttachment F-Three Year Dining Revenues For more information about this opportunity please contact the buyer directly. 99 – MC6599 UKGS AHU2 UpgradesAddendum #1Attachment Addendum #2Plans SOL CCK-1858-13 MC6599 UKGS AHU2 UpgradesAddendum #1Attachment Addendum #2Plans Available from UK Planroom For more information about this opportunity please contact the buyer directly. U – Bid #RFP-MHS-FY13-0195 – Learning Partnership Training Services SOL Bid #RFP-MHS-FY13-0195 – Learning Partnership Training Services (Video Production) For more information about this opportunity please contact the buyer directly. R – Investigative Services RFP : 1300000244 Ky Brd Of Licen SOL Investigative Services RFP : 1300000244 Ky Brd Of Licensure For Massage Therapy Request for Proposals(RFP) Published On : 2/12/13 Amended On : Closing On : 3/5/13 4:00 PM EST Time Left: 20 Days, 04:21:08 Intent Posted On: For more information about this opportunity please contact the buyer directly. T – Educational Video For Cultural Awareness SOL Educational Video For Cultural Awareness RFP # 2013-0800-1744Title: Educational Video for Cultural AwarenessDeadline for Proposals: February 28, 2013Purpose of the Request for Proposal (RFP):The Department of Commerce, Community and Economic Development, Division of Economic Development, is soliciting proposals for a Contractor to develop a work plan to produce (film and edit) a 70 minute educational video which will be used as a core teaching tool for the Cultural Host workshop. Target audience is visitor industry employees, i.e. retail staff and visitor center staff.After work plan is approved by Commerce, Contractor will complete tasks outlined within work plan. If you are unable to download the attached RFP, you may obtain a copy by contacting the Procurement Officer at the below address. Department of Commerce, Community, and Economic DevelopmentDivision of Administrative ServicesAttention: Katherine SmithPO Box 110803Juneau, AK 99811-0803Phone: 907-465-5440E-Mail: katherine.smith@alaska.gov If an alternative form of the RFP is required, notify the individual previously identified, or if using telecommunication device for the deaf (TDD), please contact Commerce @ 907-465-5437 and leave a message. For more information about this opportunity please contact the buyer directly. 99 – MC6599 UKGS AHU2 UpgradesAddendum #1AttachmentPlans Available fr SOL CCK-1858-13 MC6599 UKGS AHU2 UpgradesAddendum #1AttachmentPlans Available from UK Planroom For more information about this opportunity please contact the buyer directly. T – Bid #JG13-019 – Video Production Services SOL Bid #JG13-019 – Video Production Services For more information about this opportunity please contact the buyer directly. R – ROW Appraisal Services Jessamine Co Item No 7-87.10 RFP : 13000 SOL ROW Appraisal Services Jessamine Co Item No 7-87.10 RFP : 1300000255 Transportation – Office Of The Secretary Laura Stephens Pro Services Request for Proposals(RFP) Published On : 2/11/13 Amended On : Closing On : 2/26/13 2:00 PM EST Time Left: 14 Days, 01:04:57 Intent Posted On: For more information about this opportunity please contact the buyer directly. R – BIDS/PROPOSALS WANTED – The City of St. Louis Workforce Investm SOL BIDS/PROPOSALS WANTED – The City of St. Louis Workforce Investment Board and the City of St. Louis Agency on Training and Employment (SLATE) announce the availability of six Requests for Proposals (RFP). The release date is February 7, 2013. The RFP is seeking bids for Construction Trades Employment Liaison, IT Specialist, Next Generation Career Center Staffing, Business Services Staffing, Youth Services Staffing and Missouri Work Assistance Program Staffing. The RFPs are available for in-person pick-up at SLATE, 1520 Market Street, 3rd Floor, St. Louis, MO 63103, 314-589-8000, on the release date, 8:00 am 5:00 pm (CST), Monday Friday, except holidays. The RFP can also be downloaded from our website: http://www.stlworks.com. Questions regarding the RFP may be submitted to SLATE, Attn: Deputy Director, and must be received prior to 5:00 pm March 15, 2013. A copy of the written inquiry and response will be posted on the website: http://www.stlworks.com. A mandatory pre-bid conference will be held for the following RFPs on March 5 at the designated time for each: NGCC and Business Services RFP at 8:30 am; Youth Staffing at 10:30 am; MWA Staffing at 2:00 pm. There is no pre-bid conference for Construction Trades Employment Liaison or IT Specialist. Applications must be received by SLATE no later than 5:00 pm on March 22, 2013. No fax or e-mail copies will be accepted. Applications received after this date and time will not be considered. One original and five copies in a sealed package must be submitted. Living Wage Requirements: Bidders are hereby advised that the St. Louis Living Wage Ordinance #65597 and associated Regulations apply to the service for which proposals are being sought herein. This Ordinance requires that, unless specific exemptions apply, all individuals who perform work pursuant to a contract executed between the successful bidder and the City [SLATE] must be paid a minimum of the applicable Living Wage rates set forth in the attached Living Wage Bulletin, and, if the rates are adjusted during the term of the contract pursuant to the Ordinance, applicable rates after such adjustment is made. A successful bidders failure to comply with contract provisions related to the Living Wage Ordinance may result in termination of the contract and the imposition of additional penalties as set forth in the Ordinance and Regulations. Copies of the Ordinance and Regulations can be accessed at http://www.stlouiscity.com/livingwage. ( . . . less ) For more information about this opportunity please contact the buyer directly. U – Price Contract for CPR Training Materials SOL IFB-3000-0-2013/MBB Price Contract for CPR Training Materials For more information about this opportunity please contact the buyer directly. 76 – SNAP Ed Promotional Items Attachment A SOL K-0669-13 SNAP Ed Promotional ItemsAttachment A For more information about this opportunity please contact the buyer directly. R – Language Services SOL UK-1237-13 Language Services For more information about this opportunity please contact the buyer directly. California Public Notices http://ca.mypublicnotices.com/PublicNotice.asp Collects and centralizes public notice advertisements from newspapers across California. R – NOTICE OF REQUEST FOR PROPOSALS (RFP) FOR CONSTRUCTIONNOTICE OF SOL NOTICE OF REQUEST FOR PROPOSALS (RFP) FOR CONSTRUCTIONNOTICE OF REQUEST FOR PROPOSALS (RFP) FOR CONSTRUCTION MANAGEMENT SERVICES FOR THE RAYMOND AVENUE GRADE SEPARATION PROJECT The City of Fullerton invites proposals from qualified consultants to provide professional construction of the grade separation project at the intersection of Raymond Avenue with the Burlington Northern Santa Fe (BNSF) railroad tracks. Required services under this RFP include: inspection, surveying, soils and materials testing and administrative support staff. The City of Fullerton plans to award a single contract as a result of this procurement. A copy of the RFP may be viewed and downloaded at the City Website http://www.ci.fullerton.ca.us under News and Announcements. For help accessing the City Website please contact Yelena Voronel at (714) 738-6852 or YelenaV@ci.fullerton.ca.us. A copy of the current set of draft 100% Plans of the Project is available for review and purchase at Public Planroom Website http://www.crplanwell.com. For help accessing Planwell Website please contact Planwell Administrator at (714) 424-8525. Proposals must be received in the City of Fullerton’s Engineering Department at or before 2:00 p.m. on March 14, 2013. Proposals delivered in person or by using the U.S. Postal Service shall be submitted to the following: City of Fullerton City Hall Engineering Department 303 W. Commonwealth Ave., 2nd Floor Fullerton, California 92832 Attention: Yelena Voronel, Senior Civil Engineer Proposals, and amendments to proposals, received after the date and time specified above will be returned to the Offerors unopened. A pre-proposal conference will be held on February 21, 2013, at 2:00 PM., at the City of Fullerton, Council Chambers, City Hall, 1st Floor. All prospective Offerors are encouraged to attend the pre-proposal conference. Offeror’s are asked to submit written statements of technical qualifications and describe in detail their work plan for completing the work specified in the Request for Proposal. No cost proposal or estimate of work hours is to be included in this phase of the RFP process. The City of Fullerton has established April 17, 2013 as the date to conduct interviews. All prospective Offeror’s will be asked to keep this date available. 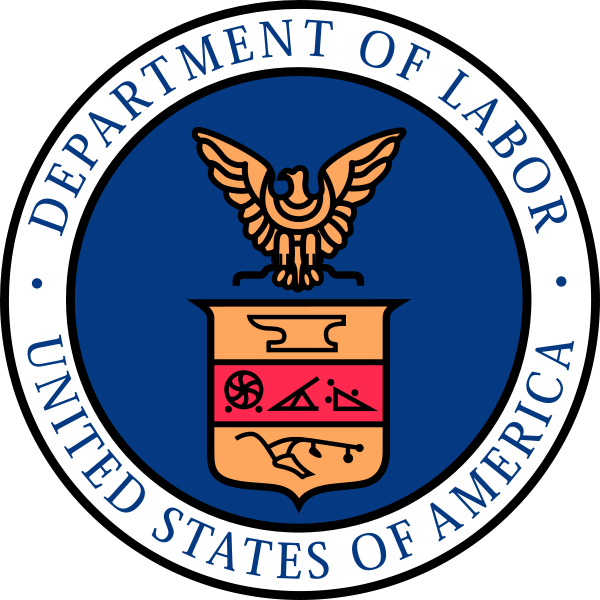 Certain labor categories under this project are subject to prevailing wages as identified in the State of California Labor Code commencing in Section 1770 et. Seq. It is required that all mechanics and laborers employed or working at the site be paid not less than the basic hourly rates of pay and fringe benefits as shown in the current minimum wage schedules. Offerors must use the current wage schedules applicable at the time the work is in progress. The Offeror will be required to comply with all applicable equal opportunity laws and regulations. Offerors are encouraged to subcontract with small businesses to the maximum extent possible. The award of these contracts is subject to receipt of state and/or local funds adequate to carry out the provisions of the proposed agreement including the identified Scope of Work. Don Hoppe Director of Engineering Publish: Fullerton News Tribune Feb. 7, 14, 2013 9573237 Appeared in: Orange County Register on Thursday, 02/07/2013 For more information about this opportunity please contact the buyer directly. 76 – SNAP Ed Promotional Items SOL K-0669-13 SNAP Ed Promotional Items For more information about this opportunity please contact the buyer directly.